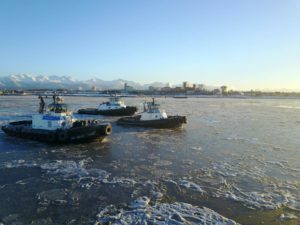 ANCHORAGE, MARCH 29, 2019– Cook Inlet Tug & Barge (CITB), an independently managed subsidiary of Foss Maritime Company, announced that industry veteran Jeff Johnson has been named as the company’s new President. Johnson brings to CITB a deep understanding of the maritime industry and nearly two decades of leadership experience. He will take over as CITB President in June 2019. Johnson joins CITB after 16 years with ARCO and BP Shipping. Most recently Johnson served as Director and General Manager of BP Maritime Services. He was based in Singapore with accountability to provide crewing and maritime talent needs for BP Shipping and BP Group globally. He is active in the Singapore Shipping Association and sits on the Maritime Business Society Board of Advisors for Nanyang Technological University in Singapore. Johnson began his career at sea in the fishing industry of Alaska. After a period with ARCO marine’s tanker fleet and Polar tankers, he transitioned ashore with ConocoPhillips in 2003 as a marine superintendent before becoming the fleet operations manager accountable for their international and US flagged tanker fleets as well as their US inland tug and barge fleet. 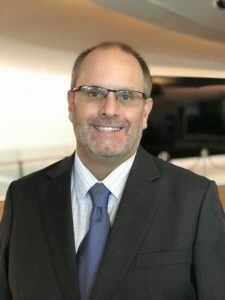 Johnson joined BP in 2007 in Alaska as the BP Shipping marine affairs advisor acting as Shipping’s local face to external parties before moving to Houston in 2010 as the assurance capability manager for BP Shipping. In this role he served as the interface to BP’s Upstream in the Americas, and led the provision of technical support to the Alaska Tanker Company before becoming manager, environmental and external affairs for BP Shipping in 2012. In 2014, Johnson was appointed to lead BP Shipping’s presence in the US as President, BP Shipping (USA), also taking the lead in interfacing with federal and state legislative and regulatory entities. In his current role as Director and General Manager, BP Maritime Services based in Singapore, Johnson has led the provision of crewing and maritime talent for BP Shipping and the BP Group since 2017. Johnson was a committed responder during the deep water horizon incident in 2010 and has been an active member of the mutual response team (MRT) supporting BP Group needs globally. He has been a passionate proponent for diversity and inclusion and has driven forward BP Shipping’s ‘believe in zero’ approach to safety. Johnson previously served on the Board of Directors for the Marine Preservation Association (MPA) and the Chamber of Shipping of America, and has been an active member on the Western States Petroleum Association Marine Committee and BP Board member alternate for the Alaska Tanker Company. He holds a USCG Masters license, a BS Degree in Business Administration from Northern Arizona University in Flagstaff, and a BS Degree in Marine Transportation from the California Maritime Academy in Vallejo. In addition, Johnson completed coursework at the Sloan School of Executive Management at MIT in Cambridge.